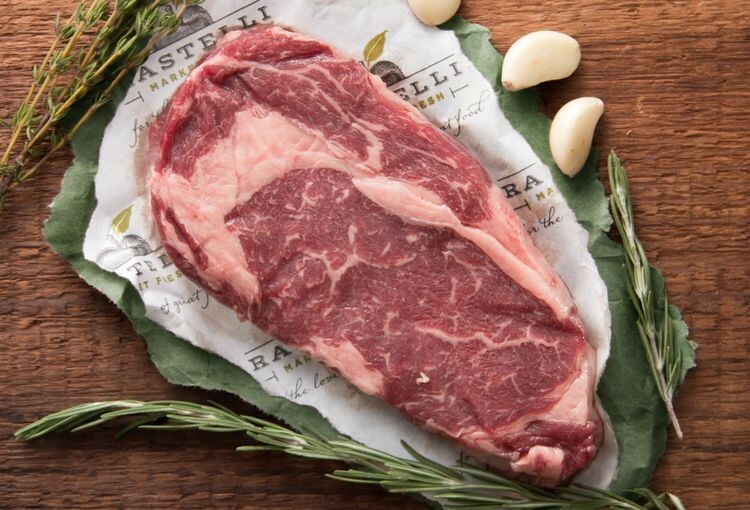 Packed with mouthwatering, bold flavor, our Ribeye Steak comes from grass-fed and grass-finished cattle raised to organic standards in South Dakota. Wet aged for 21 days and hand-trimmed, this is a leaner alternative to conventional ribeye steak. 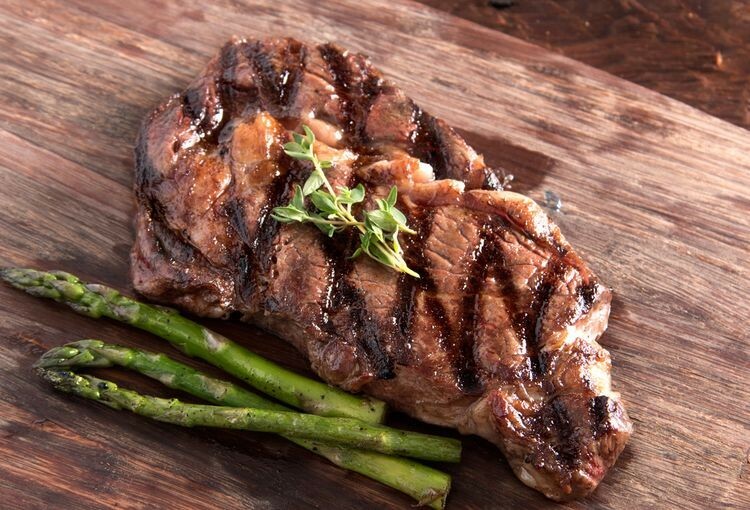 Oven-cooked or grilled, our incredibly rich ribeyes help create a steakhouse-style meal you can feel good about. Bring the steakhouse to your house! I made my Ribeye in my Joule Sous-vide as a comparison taste test to a grocery store specialty cut Rib Eye. I took my steak frozen from the freezer in a gallon freezer bag. I previously prepared the steak with a mesquite seasoning, one teaspoon of avocado oil sprayed on the steak, then I put a sprig of fresh organic thyme and minced garlic on the steak. I put the steak in a freezer bag spraying the opposite side and repeating the process with the addition of an organic Bay Leaf. I squeezed the air out of the freezer bag, closing it and placing it in the 129.2 degree water for 90 minutes for a 1" frozen Rib Eye. Before my timer went off I preheated a carbon steel pan. After removing my Ribeye from the hot water I took the steak out of the bag and dried it with a paper towel to carmelize it. I poured olive oil in the hot pan with a pat of butter then added my steak at high heat for 60 seconds. I turned my steak over and browned the second side for 60 seconds adding the Bay Leaf to the pan with the thyme and garlic basting the steak with the pan juices and topping it with the thyme, Bay Leaf and garlic. I plated the Ribeye with the thyme and garlic pouring the pan juices on the Ribeye, discarding the Bay Leaf. Unbelievably I had a rich au jus in my freezer bag which I poured over my Ribeye from the Sous Vide cooking process. The Ribeye was delicious, tender, juicy, a perfect medium rare every time. My only regret, the Rib Eyes were GONE SO QUICKLY! Oh, there was No comparing them to the grocery store steak. I can make A Perfect medium rare Ribeye at home every time and save money. I fried mine in Extra Virgin Olive Oil, White Wine and Thyme Honey Balsamic Vinaigrette along with Portobello Mushrooms and it was great. Still have another one and will cook it the same way again.